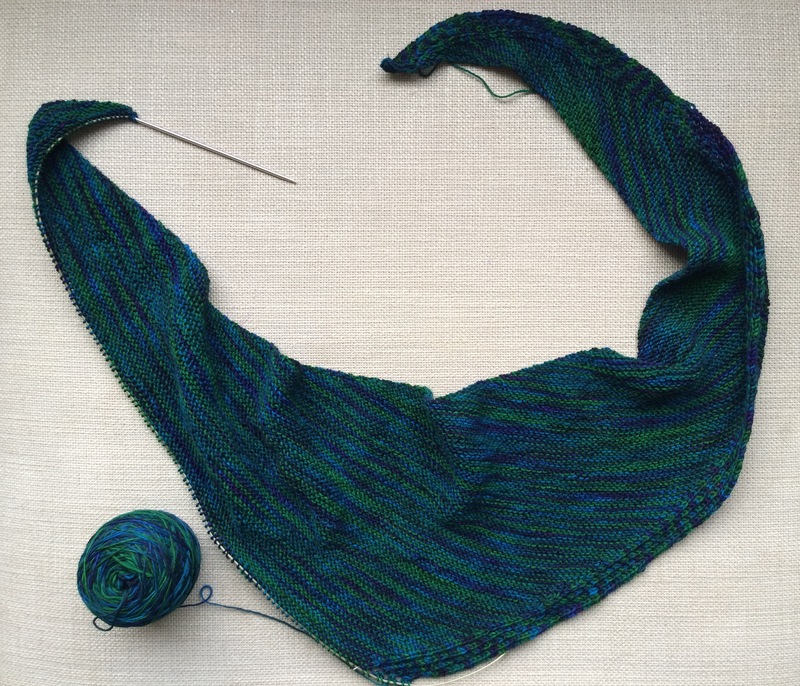 My Trillian scarf/shawlette has not gotten much attention since my carpal tunnel started acting up back in February. I find that the smaller needles irritate my wrist and hand, so I only do a few rows a day, at most. Today I managed two rows. So it’s growing very slowly, but two rows are better than none, right? I’m supposed to knit until I have about 7% of the skein left, if memory serves me. It’s about time to weigh it!